Federal Reserve Chair Janet Yellen traded sharp words in a rare, feisty exchange with a congressman over legislation that could limit the central bank's independence. The normally reserved Yellen pushed back against pointed questions from Bill Posey, a Florida Republican. He asked why she's opposed to a bill that would allow the Government Accountability Office, a unit of Congress, to audit the Fed, and, more controversially, review its decisions on interest rates. Posey said the bill, known as Audit the Fed, would provide more transparency for the central bank and its decisions. Fed leaders say it would ruin the central bank's credibility by eliminating its independence. In January 2017 a version of the Audit the Fed bill was introduced in both chambers. It passed out of committees in both the House and the Senate, but neither version has received a full vote in either the House or the Senate. Few think it will pass the Senate. Related: Fed Chief: Trump policies are a "source of uncertainty"
"For the life of me, I can't understand what the Fed fears. Can you give me an example that would justify the lack of transparency?" Posey asked at a hearing of the House Financial Services Committee. "We don't have a lack of transparency," Yellen quickly replied. "You do if you can't audit it -- that's a lack of transparency," Posey shot back. Fed leaders do make their decisions behind closed doors. But the central bank is audited twice a year -- once by the government through the Fed's inspector general and once by a private auditor. Critics of the bill question the point of a third audit. Right now, GAO officials don't attend Fed meetings and are unable to second-guess its decisions. Yellen argues that the proposed law would give them that power. "What do you fear about the audit? Can you give me a real-time example?" he said. Yellen replied that central bank leaders need privacy to discuss monetary policy without being second-guessed in real time by officials representing lawmakers. Posey wasn't satisfied. "Just give me an example -- give me an example -- of how transparency could hurt the Fed? Just give me one example," he asked, holding up his index finger. Yellen started: "Because what you're talking about with the GAO are policy reviews ..."
Posey cut her off. "No, just give me an example." She did: "I would envision a situation where the GAO, at the request of members of Congress, might come in and say at our meeting a week ago ... they believe the decision we made was the wrong one at that particular meeting, and I would say that's an extreme interference" into monetary policy. Posey replied: "So you're telling me we shouldn't be transparent for the fear of being second-guessed or somebody criticizing you because they thought you were wrong?" "What we're talking about is political interference in decision-making by the [Fed's] committee," Yellen said. "I don't see that," Posey said. 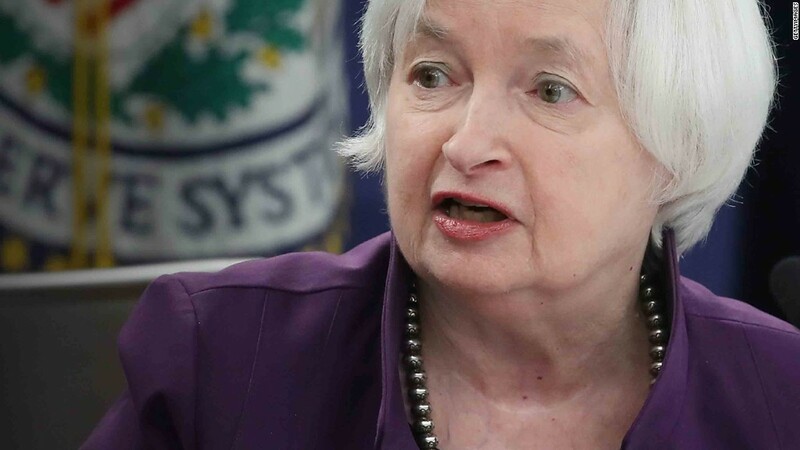 "I do," Yellen shot back. "Well, give me an example," Posey asked again. "I gave you an example," Yellen said, sharply. Posey ran out of time, and the hearing moved on. Yellen's testimony before the House on Wednesday may have been her last. Her term ends in February, and it's unclear whether President Trump will reappoint her. House leaders repeatedly asked Yellen whether she wants to say on, and she declined to comment.